Stereotypes: Where’s the Line Between Offensive and Multicultural? 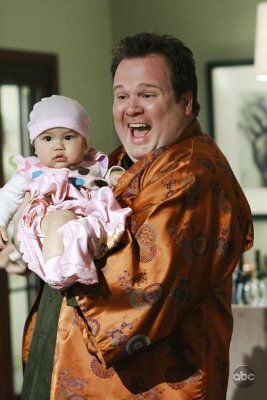 So when it comes to media representations, where’s the line between (a) humorous glimpses into a multicultural world and (b) offensive, hateful generalizations about marginalized groups? Can humor about a marginalized group actually be a healthy way of promoting diversity? 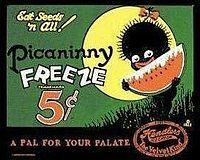 An offensive, stereotypical “picaninny” image of a black child, popular in early 20th century ads. Clearly, stereotypes can be dangerous because at their worst, they provide “evidence” that a marginalized group of people is inferior, therefore justifying the marginalization. In Nazi Germany, stereotypes about Jews were used as justification for discrimination and eventually for concentration camps. In the United States, D.W. Griffith’s 1915 epic silent film (and Ku Klux Klan propaganda piece) Birth of a Nation promoted stereotypes than African-American men were dangerous, corrupt rapists and thieves. These attitudes fueled the “need” for Jim Crow laws and other forms of racial discrimination.